APA is governed by its Board of Directors, who are elected from among the membership of the Association. The Board is chaired by the APA President, and sets broad policy for the Association and governs its affairs. Day-to-day operations are managed by APA staff. Board members serve four-year terms. Terms are staggered, so half of the board is elected biennially. APA's Board has 13 members, as well as three Advisors, who are the elected leaders of the councils of our component groups, and advise the Board on matters related to Chapters, Divisions and Students. 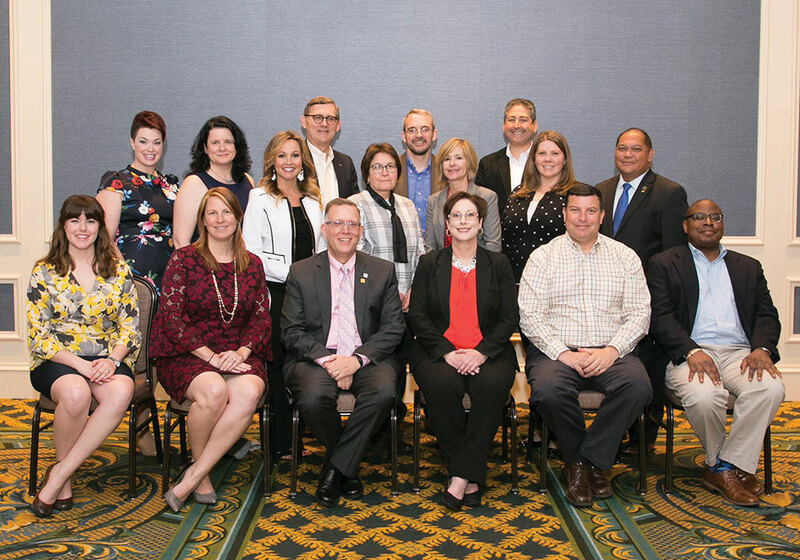 APA Board of Directors: (Back row, left to right) Lauren Driscoll, AICP; Wendy Moeller, FAICP; Wendy Shabay, AICP; Glenn Larson, AICP; Marjorie Press, Ben Hitchings, FAICP; Kara Drane, AICP; David Fields, AICP; Kristen Asp, AICP; Leo Asuncion, AICP. (Front Row, left to right) Rachael Thompson Panik, Courtenay Mercer, AICP; Kurt Christiansen, FAICP; Cynthia Bowen, FAICP; Rodger Lentz, AICP; Fleming El-Amin, AICP. If you would like more information about any of these committees or workgroups, or would like a current roster, please email getinvolved@planning.org.